11 December 2012 : Litter D from the union of Putra and Sri Kandi arrived today but again, only one survived. My first red and white boy! – ooops correction, my first red boy…. 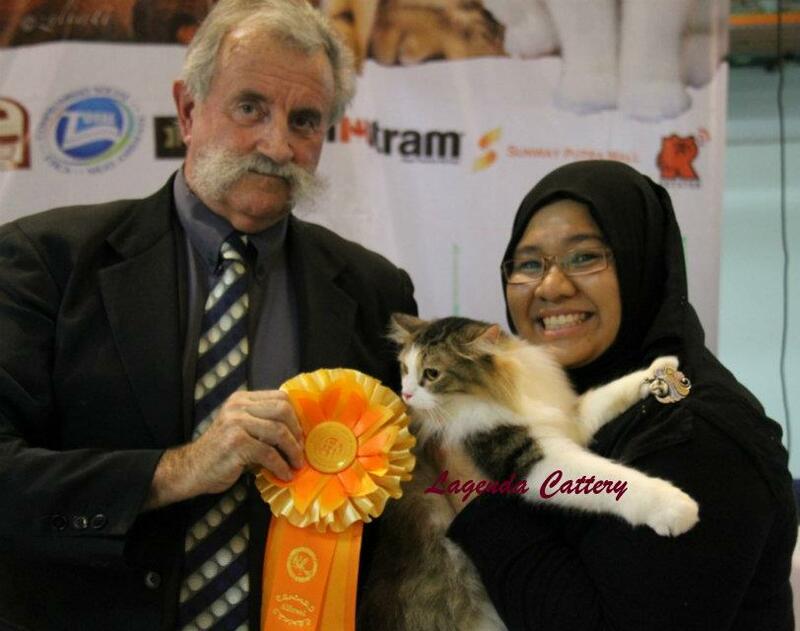 8 December 2012 : CFCT 1st Pattaya Cat Show – we met the charming Mayor of Pattaya! Will upload the photos soon. 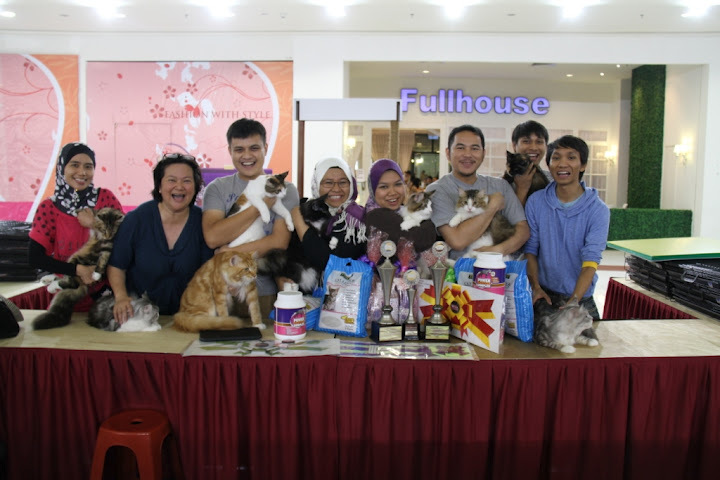 2 December 2012 : KKM-FIFe-MAHA International Cat Show was successfully organised by the Malaysian Cat Club. Story can be read here. 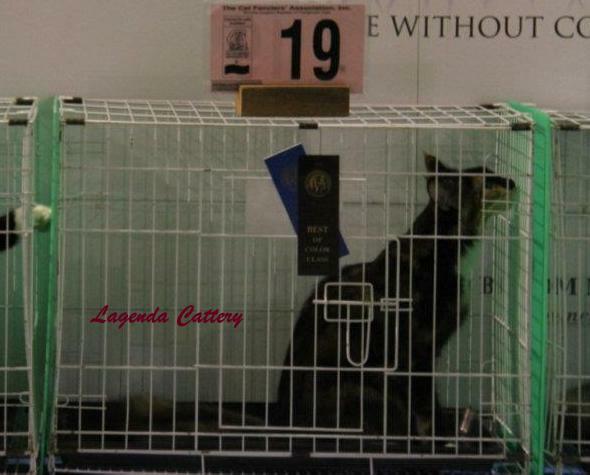 29 & 30 September 2012 : SCFC Siam Cat Show #5. Photos can be viewed here. 4 October 2012 : Litter C from the union of Putra and Bianca arrived but only one survived. She is sure a fiesta gal my brown and white beauty! 15 September 2012 : CFA Mydin Malaysia Day. Details here. 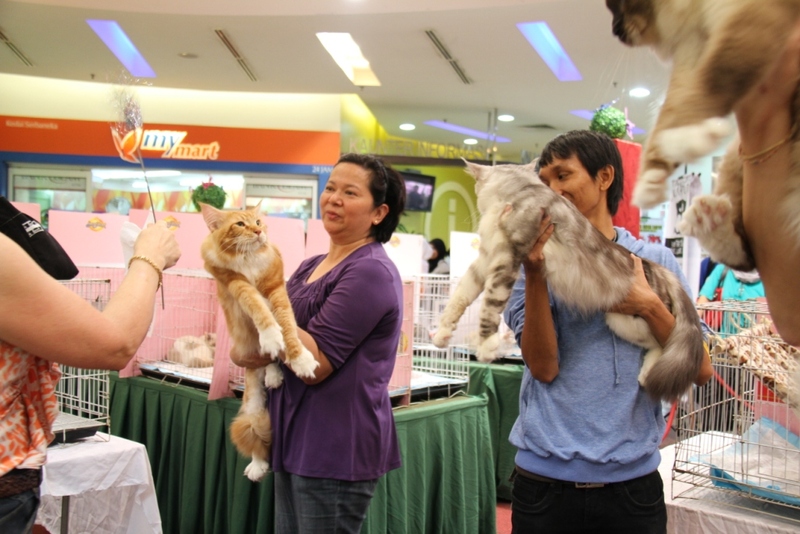 8 & 9 September 2012 : CFA Le Viva International Feline Show ‘2012, 8 AB/HHP Ring, Viva Home Mall, KL. Photos can be viewed here. 1 September 2012 : A lot of things have happened since I last updated the website, one of which has prevented me from updating this website as I am still trying to find ways to write and put it in writing for all to read and share in my blog (www.adventureincatdome.blogspot.com). 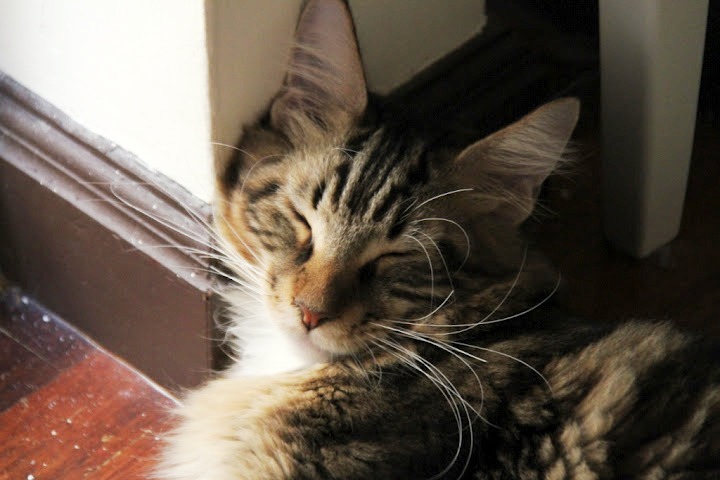 I would like this website to be a record of things that happens to the cattery and what makes us grow, not just the good news, but to include the not so good news as well. I am going on a “holiday” for a while and will only be updating the site after September, when I have the time and the inclination to update. I am sure I will bounce back so I hope to see you guys again. 10 August 2012 : Photos of Litter B are uploaded here. 28 & 29 July 2012 : Big surprise! 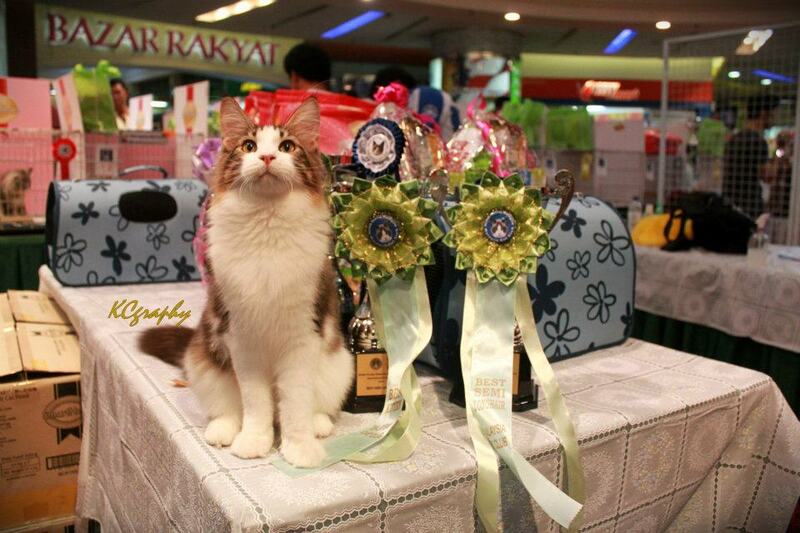 We actually entered the CFA ID Award Cat Show in Hong Kong, our first ever international event! 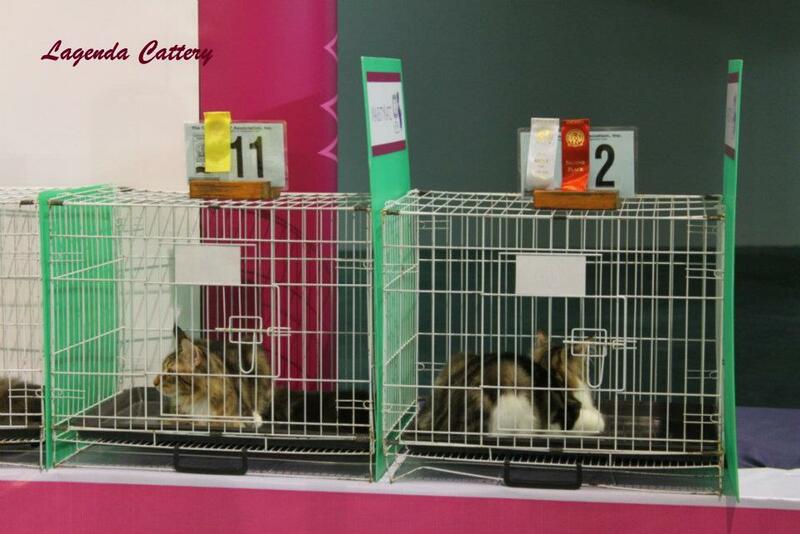 Although we did not win in the Kitten Category, the two kittens from Ciku-Kiwi (Bayang) and Zikhafri (Ike) did very well in the rings. We are very proud of their achievements. 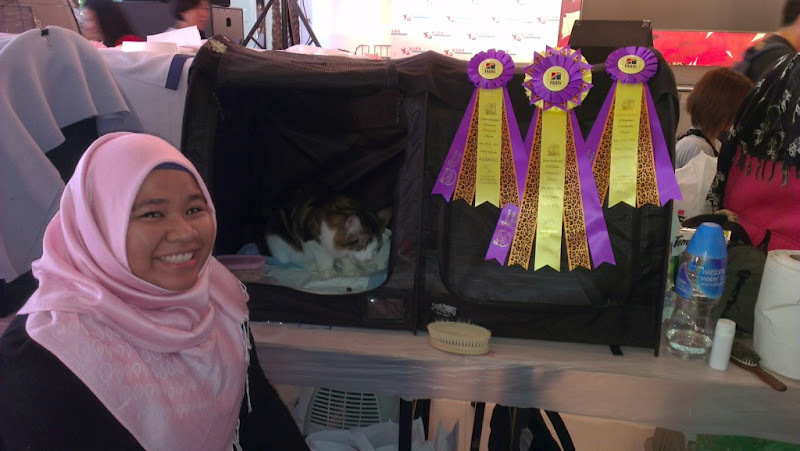 Nevertheless, the results of the Open category were amazing, Muezza and Kanang (from Salju Cattery), both of whom competed in the Open category for the first time, finalled in two rings each – how’s that for a first timer! 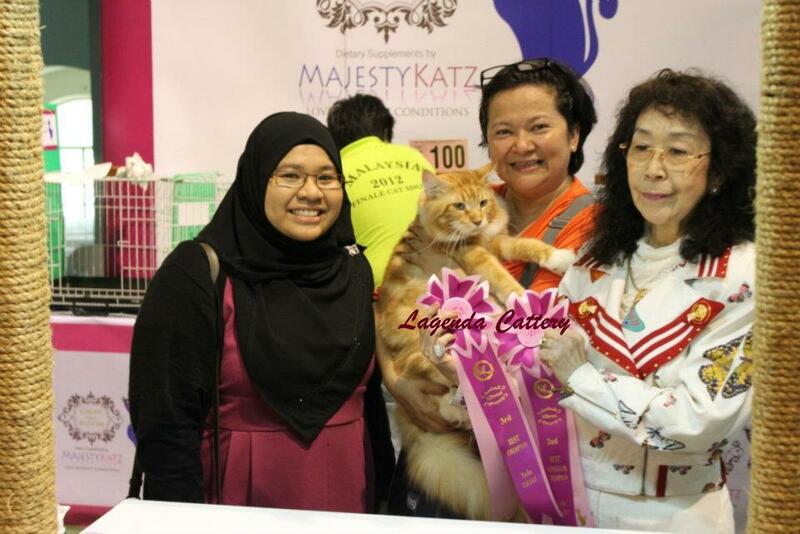 And Muezza actually granded in his first show as an Open – Wowee wowee woweee, our first GC Lagenda Muezza Putra! 24 July 2012 : Lagenda Litter B has arrived! Citrus finally delivered on her 68th day of pregnancy, just a day before we were scheduled to leave for Hong Kong. Photos will be posted soon. 8 July 2012 : Lagenda Shah Putra finally left home to be with his new family. It doesn’t get any easier does it? I am going to miss his eagerness to sit on your lap, his constant chirping (he is a talkative mco) and his playfullness. Hmmmm……. be good ok? 6 July 2012 : We have just received confirmation that our very own HHP has been awarded the title Triple Grand Master by TICA based on his performance at the recent Fabulous Felines’ TICA Show. Mummy is absolutely proud of you my TGM LegendaryBoboy! 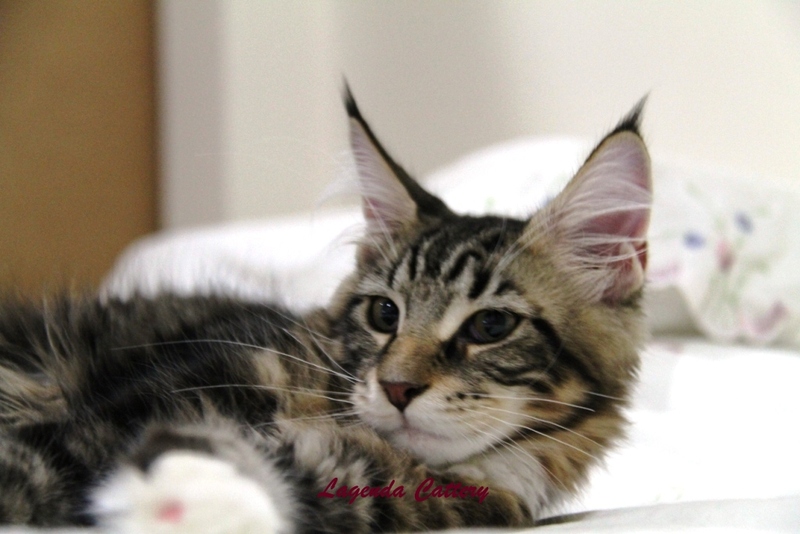 2 June 2012 : The Feline Lovers Facebook Group successfully organised their first ever Get Together and Tea Talk on Cat Colour Genetics on 2 June 2012 at SWAn office in Glenmarie Accentra, Selangor. The talk was given by Mr Awaludin Jaafar, a well know expert on FIFe Colour coding and genetics. Full story here. 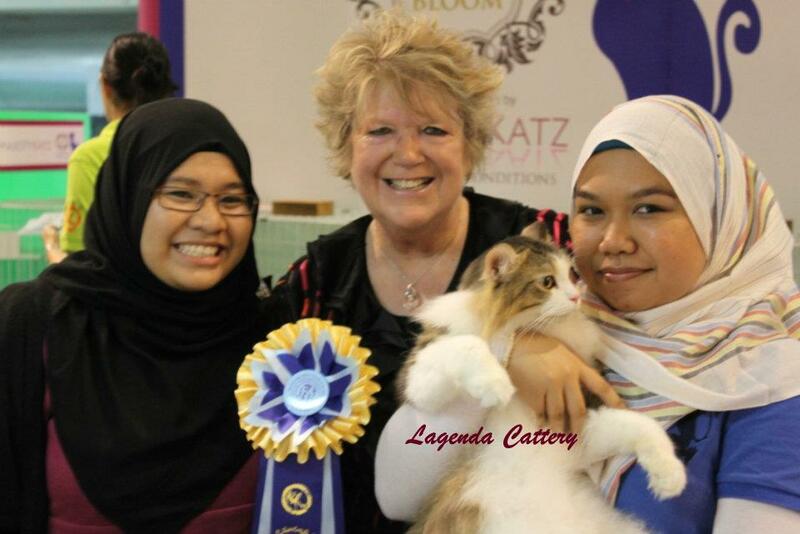 20 May 2012 : Fabulous Felines 1st International TICA 8 rings All-Breed Championship Show. This is my first time entering a TICA competition so we did not know what to expect. Nevertheless, we entered Putra, Boboy, Shah, Tuksido and Muezza in their respective categories. This time, the boys’ performance were OTT!!! 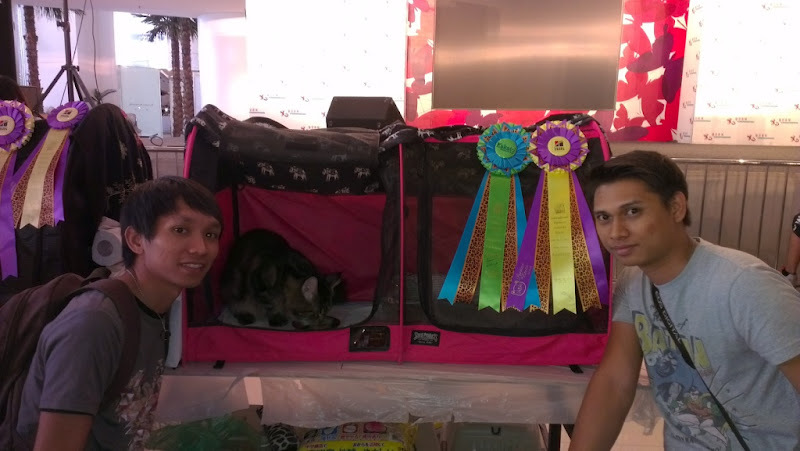 Putra finalled in seven out of eight rings and was the highest scoring longhair cat in Ring 5. Our Boboy finalled in all the rings and went on to win the overall highest scoring HHP. Shah Putra finalled in six out of eight rings and came in second in most of the finals. 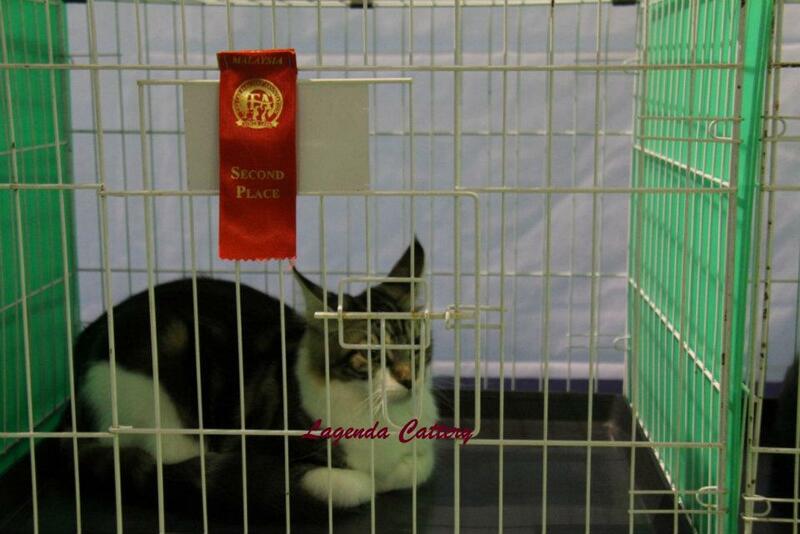 But the best were our two other boys, Tuksido came in Reserve Best Kitten in Show with 3 no. 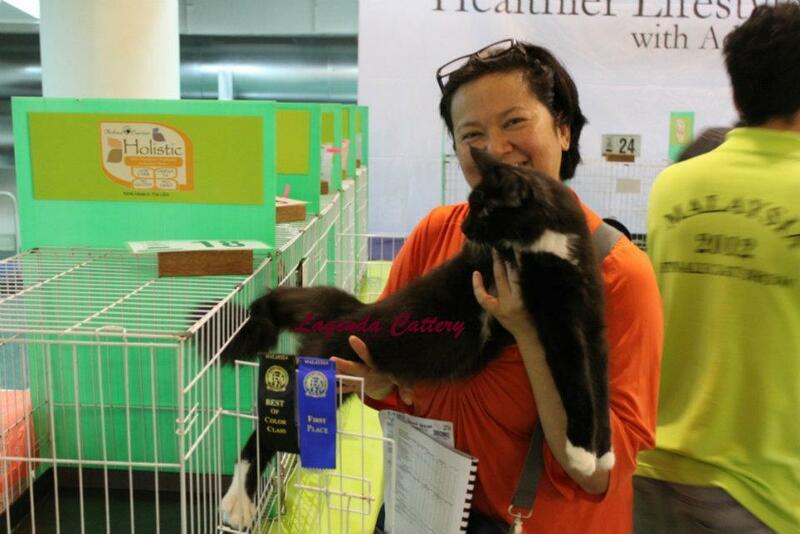 1 spots while Muezza was the Best Kitten in Show with 5 no. 1 spots. Oh boy!!! It was a fantastic feeling! 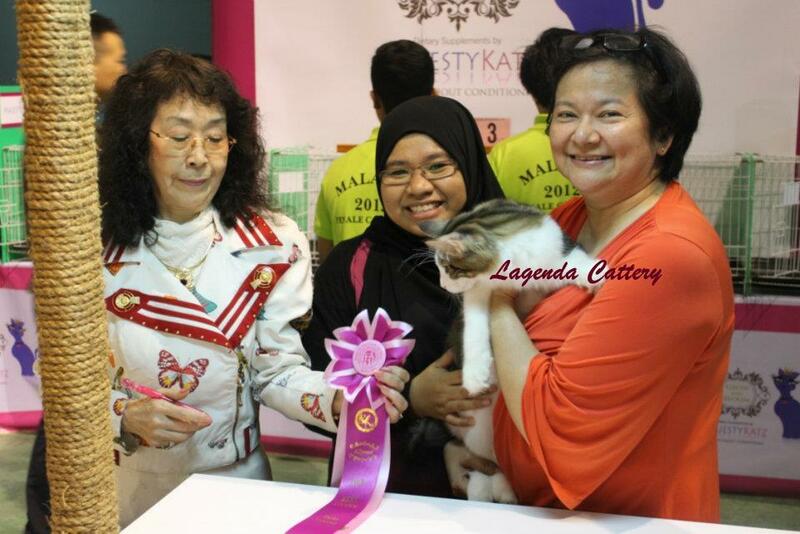 6 May 2012 : Smartheart-Mydin USJ-KKM FIFe International Cat Show – We entered Putra in the Adult Semi-Long Hair Category, Shah, Tuxedo and Muezza in the Kitten (3 to 6 months) Category. Muezza, Tuksido and Shah also did well conquering the No. 1, 2 and 3 spots respectively in the Kitten Semi-Long Hair Category and all of them were awarded the Excellent (EX1) award. But the best surprised was Muezza. Being Best Kitten in the Semi-Long Haired Category, he went on to win the Best Semi-Long Haired Category and then the overall Reserve in Show!!!! We are very proud of all our babies. 26 April 2012 : Our cattery is also registered with TICA! Now to register under FIFe……. 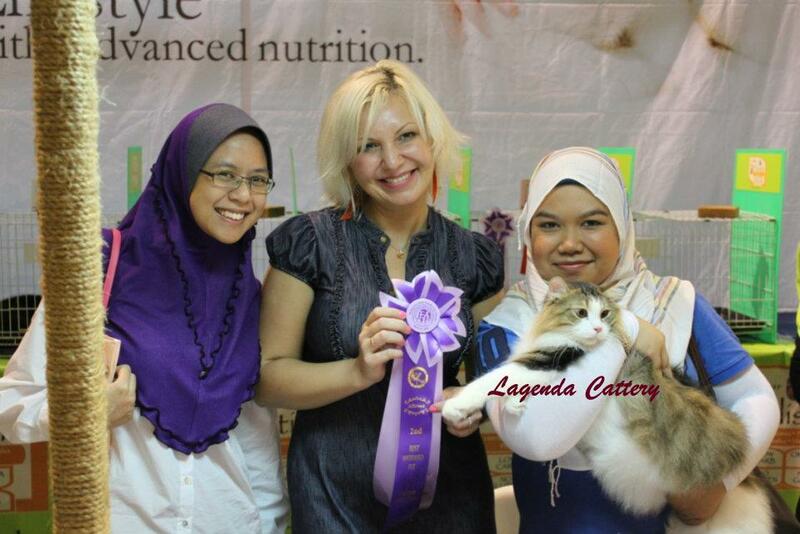 14th April 2012 : Malaysia 2012 Finale Cat Show, Sunway Putra Mall (China Phoenix Cat Club). Putra won Best Champion and Second Best of Breed in Ring 6 and also 2nd Best Long Hair Champion and overall 3rd Best Champion. Citrus obtained her Champion title plus was also no. 2 in her colour group. 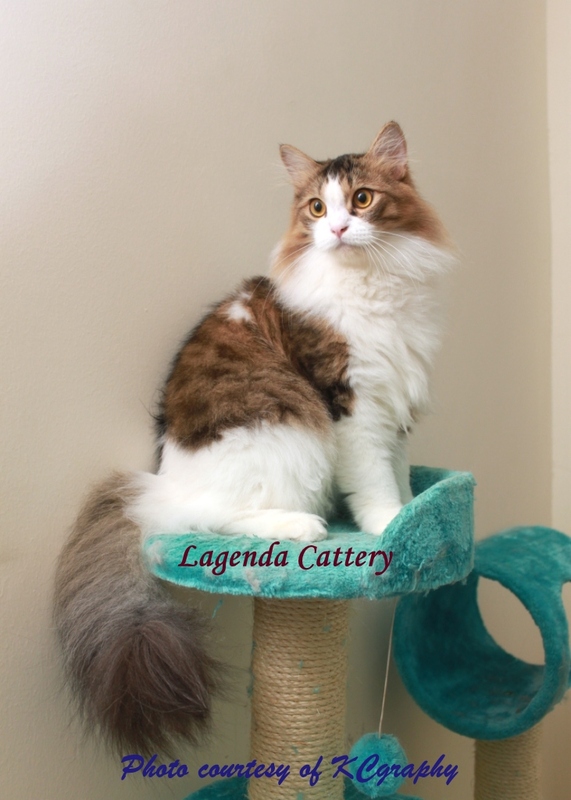 The Lagenda babies performed very well at their first show, and although only Muezza managed to get no. 10 placing in one ring, the others also managed to be placed either no. 1, 2 or 3 in their respective colour classes. The best achiever – our HHP Boboy managed to get two no. 1 placing and one no. 2 placing in his category. Way to go Boboy! 8th April 2012 : Mega has left home and is now staying with her new family. I know she will be happy and well taken care of at Ciku-Kiwi Cattery. 6th April 2012 : Addy Putra has been sold whereas Shah Putra is now on hold until 14th April 2012. 6th March 2012 : Addy Putra has been reserved. 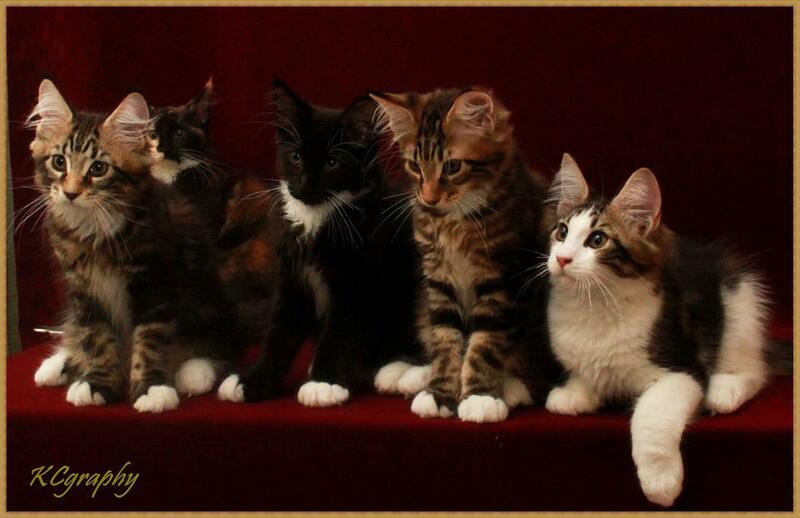 Other kittens from Litter A are still available. Details here. 3rd March 2012: New Queen in the house. Pictures will be uploaded soon. 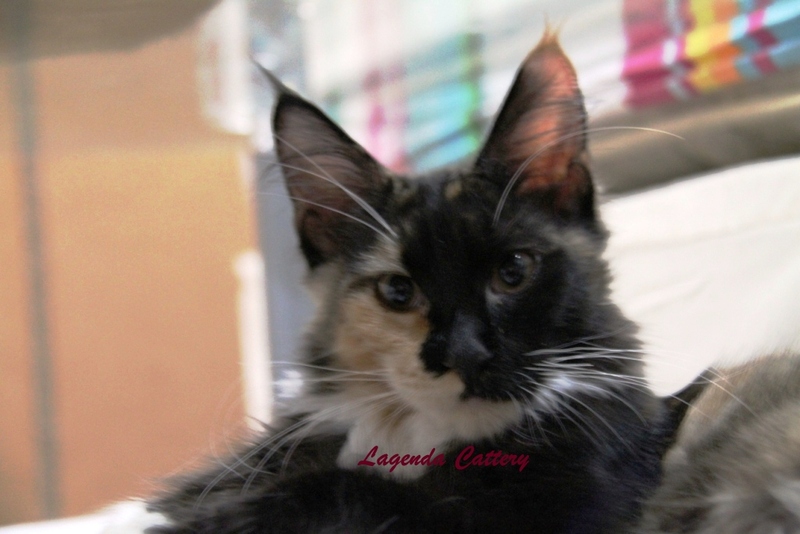 1st March 2012: Kittens from litter A is available here.